Do you suffer from an Auto-Immune Disease (including Lupus, Multiple Sclerosis, Arthritis)? Do you have skin problems (Eczema, Dermatitis, Psoriasis)? Lack of sun exposure in the winter and due to skin cancer concerns can lead to vitamin D deficiencies. 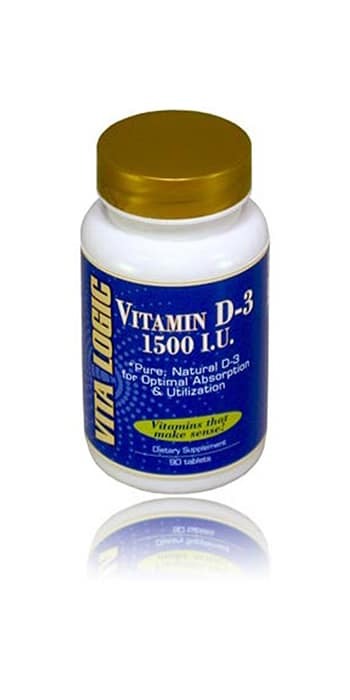 The best way to deal with a vitamin D deficiency is to take a vitamin D3 supplement. Vitamin D3 supplementation in the elderly has been shown to increase bone mineral mass and may decrease bone fractures. Daily vitamin D3 intake and sun exposure have also been suggested to reduce the risk for certain breast cancers. A lack of Vitamin D may increase the severity of symptoms of inflammatory bowel disease. In fact, vitamin D3 deficiency has been associated with numerous conditions, including autoimmune diseases such as Lupus and Multiple Sclerosis, Diabetes, Parkinson's, Alzheimer's and Depression. Blackmore, K.M. et al. (2008) Vitamin D from dietary intake and sunlight exposure and the risk of hormone-receptor-defined breast cancer. Am J Epidemiol 168: 915-24.